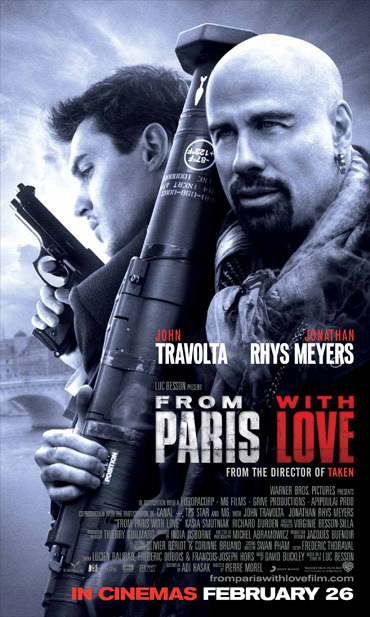 In Paris, a young employee in the office of the US Ambassador hooks up with an American agent looking to stop a terrorist attack in the city. It's actually pretty good entertainment, especially if you like Travolta and action. It's a Luc Besson production and it takes place in SURPRISE: Paris, France. The tittle of the film though has nothing to do with the plot. There's so well shot action sequences and that's also what works best in the movie. The fact that Travoltas character is nothing less than invincible is kind of off putting. SInce most action movies works in the way that you gain sympathy with the main characters because of their hard time fighting an 'evil force', but here Travolta just strolls right through everything creating havoc on his way. 8 of 10 for the action. 4 of 10 for story and coherency.